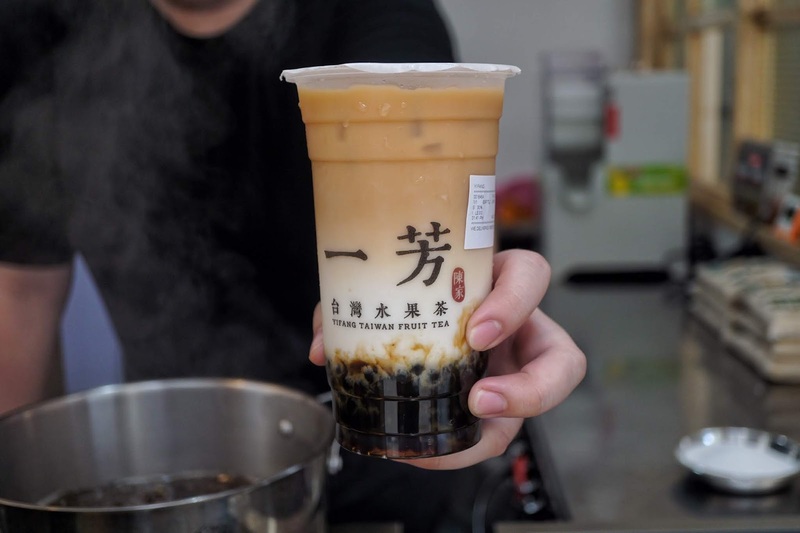 The milk tea craze hit Manila hard and it's just about to get even wilder with the influx of foreign and local brands entering the market. Everyone's current obsession now is brown sugar milk tea. And though almost every milk tea joint has their own version, we all have our favorites. 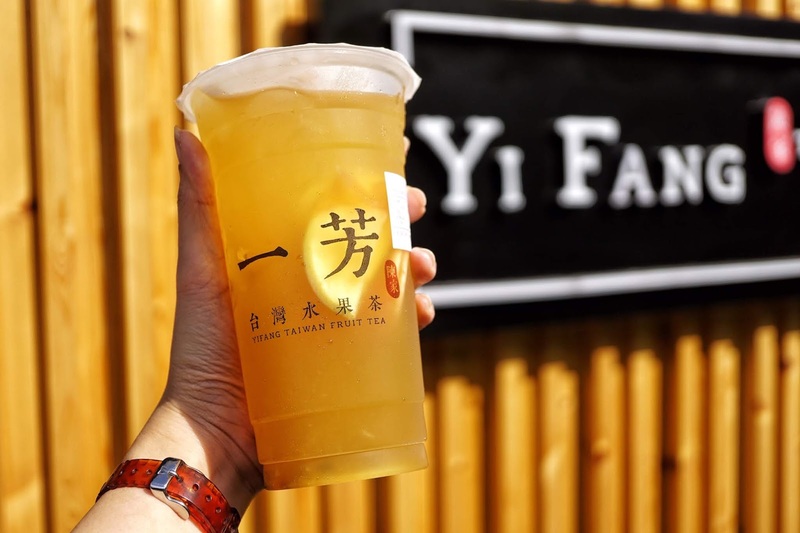 And I am loving Yi Fang's Brown Sugar Pearl Tea Latte. Yi Fang has been around since 2017 but it wasn't until a year after when it gained popularity. I still recall its first branch in Ayala Malls the 30th not having much customers making it my favorite stop whenever I have a shoot nearby. 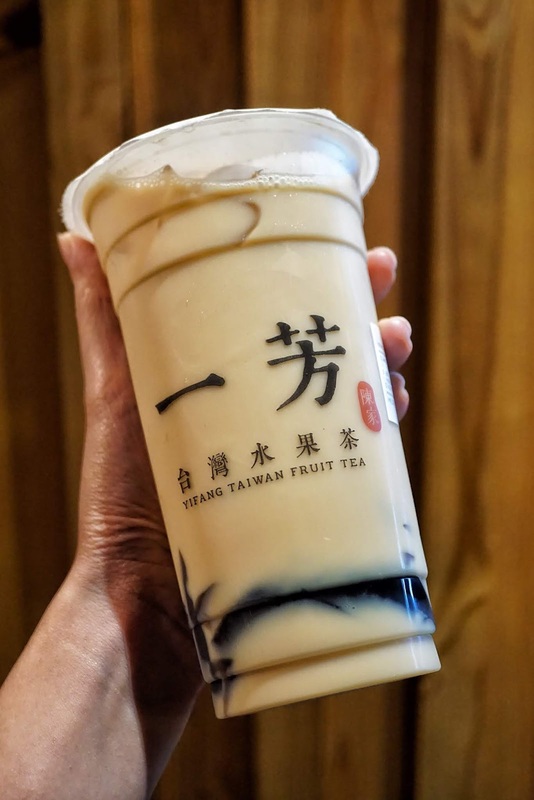 I've heard a lot of praise for its Brown Sugar Pearl Tea Latte (PHP120 | PHP140) and that it tastes just like taho. As a big fan of this silken tofu goodness, I had to try it myself. One of my friends told me to max the sugar level so that I could fully enjoy this drink. But I was stubborn and didn't listen. I went with less than 50% sugar level and it turned out to be a bust. My shobe wanted to give it another try and went with 100% sugar level. One sip of her drink made me understand why everyone's going gaga over this! It is pretty good and quite close to our street food favorite. However, my heart still belongs to Yi Fang's Signature Fruit Tea (PHP120 | PHP140) with its generous serving of fresh fruit bits. 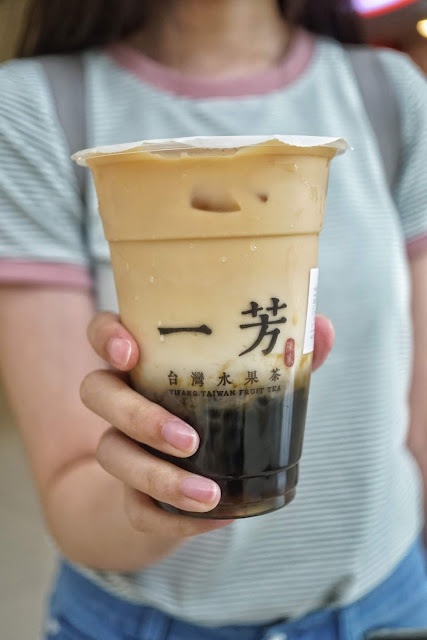 A new Yi Fang favorite is Grass Jelly Tea Latte (PHP120 | PHP140). 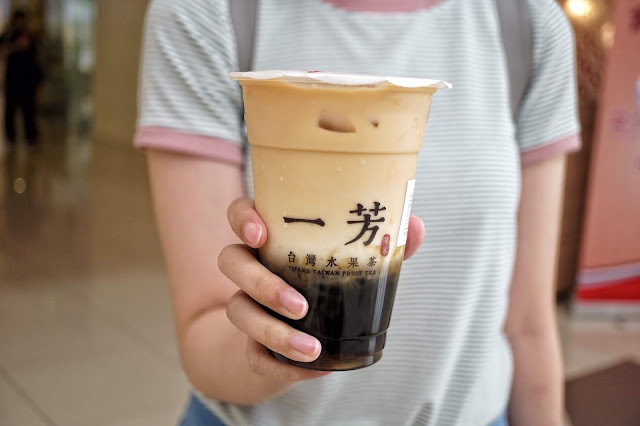 Just like Brown Sugar Pearl Tea Latte, this drink is best enjoyed with 100% sugar. The tea taste tend to be strong and make your drink not as sweet. 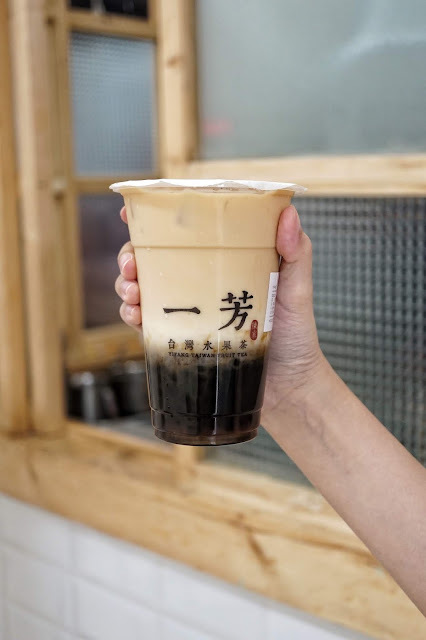 The grass jelly has that delightful sweet taste though. 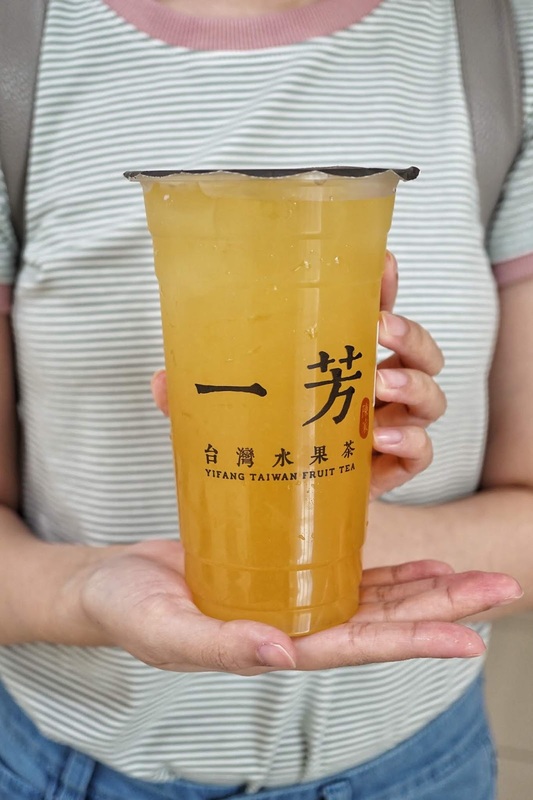 And in one of my recent visits, I realized that Sugarcane Mountain Tea (PHP115 | PHP135) is not really sweet despite its name. 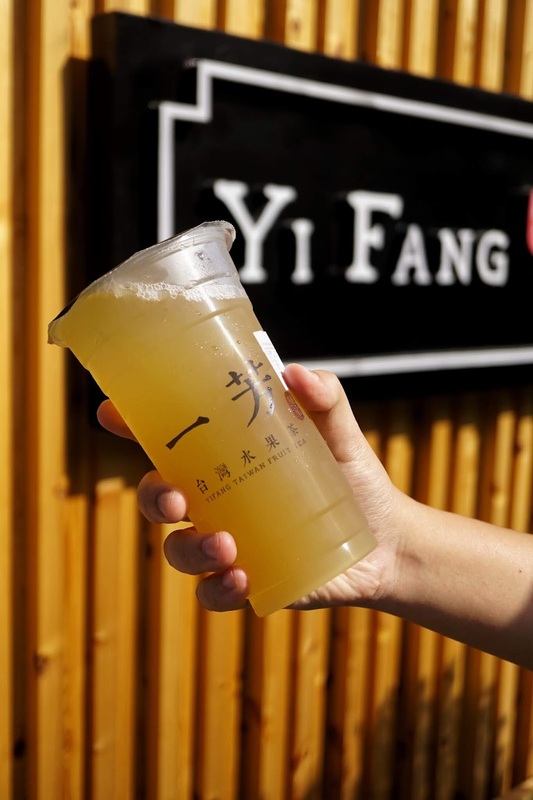 Yi Fang Taiwan Fruit Tea is located at 4th Floor, Trinoma Mall, Quezon City.